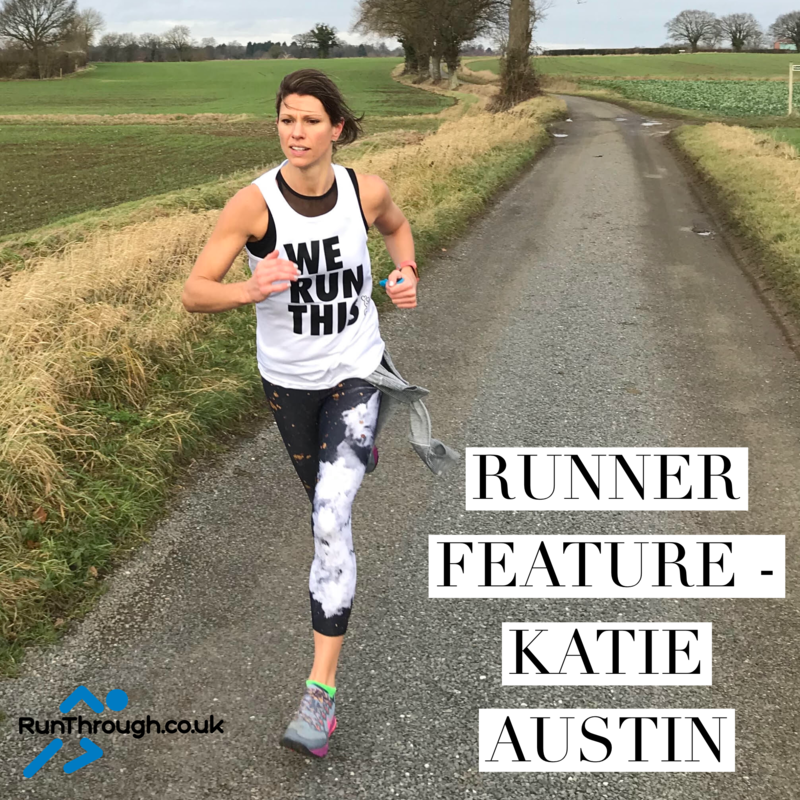 I’m Katie, I’m 34 and a running mum of two children aged 7 and 2. I have always been a runner but was a sprinter at school and then turned to distances when I moved to London after University. I didn’t run for time, simply for fresh air and exercise. After I had my first child I turned to running as a form of therapy; it became my thinking time and a way to process and clear my head. After my second child I started to take running more seriously and ran my first race in May 2017. I got the racing bug and haven’t looked back! I moved from running for fun to training properly last June as I had entered the Disneyland Paris Half Marathon, and having always been competitive, I wanted to run it well…by my own standards. At this point I found the BUPA half marathon training plan online and used it as a basis for my training, but as a working mum of 2 children this had to be adapted to suit their needs and my schedule. I am very determined and once I have set my mind to something I am pretty likely to make it happen! Being a mum and training requires hard work and extreme effort; both are similar in that you aren’t automatically ‘good‘, but it takes a lot of time, persistence and practice. I have a routine and try and stick to this as much as possible. I work 3 days a week; 2 from home in Suffolk and 1 in London. On the day I go to London I always go to a class after work. Not only is it a great stress buster, it has also been immensely helpful in building my fitness, my endurance and also my speed. I go to 1Rebel and do their Reshape Class; a combination of weights and treadmill in 45 mins of intense exercise. I used to find it so hard I couldn’t make it through a session without stopping multiple times and wanting to throw up, but over 18 months of weekly attendance, I am now in the ‘advanced runner‘ category. I already have childcare arranged on my working days so in order to make my training regime work, I always maximise this time and get a session in. Two days a week I do strength training in the gym; mainly using weights and body exercises to build strength with a focus on the core and legs. I will also do a short speed training session over 5kms from my front door during my ‘lunch break‘ when I work from home – it takes 20mins and is a quick and efficient way to get in some mileage and the heart rate pumping. I have the added bonus that I can sit at home sweaty without offending anyone! My top tip for making sure you get that session in, is to get dressed in the morning in your running clothes, and don’t take them off until you’ve done it! It’s more efficient than having to get changed and serves as a reminder that you haven’t yet got your training session in. I am very fortunate as my parents live close to us and support my training, as well as love spending time with the kids, so they are willing to look after them whilst I run, or at weekends my husband and I run together. They come for dinner every Wednesday night (I have something in the slow cooker that we can all eat at different times) and I will go for a 8-10km training run whilst they supervise the children. It has been really tough forcing myself out in the pitch black (no street lighting in the country) and often rain, snow or ice. But it is the only time we can make in the schedule for some running time, so I have to make it happen. This actually highlights a huge change in mindset for me – I used to be a fairweather runner and from November could only be found doing sprints in the gym in a treadmill. As my passion has grown I have also learned to LOVE running in any conditions! The weekends are when I fit in my long run and this I really do work around what my mum can give me in terms of her time. We all go to the forest or coast, or a national trust property that has trails, or anywhere that the kids can be outside and my husband and I can go off for a run. My Dad will often bike part of the route with my 7 year old son who has actually now endured some very long gruelling cycle rides as a result! I am a huge believer in getting my children involved and ensuring they spend as much time as possible outside (they behave better and sleep better!) so I also believe in leading by example. These weekend sessions also give us family time being active having fun at minimal or no cost, and is so rewarding. I will also get up first thing and run when everyone else is still asleep. My husband and I also take turns to do this on holiday as we both love keeping the escapism and opportunity running gives us when we are away. I actually love being out on the roads (or trails) when no one else is about and it definitely makes me feel more energised for the rest of the day, gets the endorphins flying and as brutal as it is setting the alarm ridiculously early, it is ALWAYS worth it. It is also very satisfying knowing the training is done and the rest of the day can just happen. Whilst I do have some kind of routine, I also try not to stress when it doesn’t go according to plan, because it happens. Some days my run will be a disaster, or we are away, or my parents aren’t available, or the kids are sick etc etc etc and it doesn’t happen. I try to do what I can and know that it’s not the end of the world, I just try to get back on track as soon as I can rather than letting running being a stress. Life as a working mum is a challenging balancing act of fitting in the school run, washing, ironing, after school activities, cooking, clearing away and everything else that goes with it. I do now believe that running is the thing that I do for me amongst that hectic routine of family and work life. I am a better person for doing it, I have ‘me‘ time, the chance to unwind, clear my head, focus on my goals beyond being a mother. I feel better physically and mentally and I believe in setting an example to my children of how to live a healthy life (as best I can). I want to show them that I am more than just their Mum (they will never see me at work), and also to show myself that I am more than just a Mum; that I can have hopes and dreams even as a grown up with big responsibilities. I spend hours giving myself to other people and I truly believe that as a parent, we have to give time to ourselves as well; that time, for me, is putting on my trainers and running out the door. But perhaps for me, the most motivation I ever receive for making it all happen is running past their little faces in a race as they shout ‘Run Mummy Run‘! 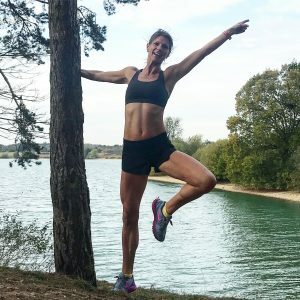 Fitting in running training as a mum takes patience, organisation and determination, but it is also rewarding and exhilarating, and to this day I have never regretted a run!